served--lives are being saved. All because Pat Brett, the owner of Doobie's bar, has opened up her heart to the plight of homeless cats. Over the years this amazing woman has rescued and made successful adoptions for over 200 homeless cats. Pat pays most of the veterinarian costs for the kitties she rescues from her own pocket. Rescuing a cat off the street costs her a minimum of $200. A couple months ago, when I spoke to Pat, she had spent $3,400 on medical expenses for Lil' Dink, a FELV+ kitty, who she sadly lost in September to possible Feline infectious peritonitis (FIP). "He was such a little love!" Pat said. Every day, Pat brings her compassion for cats to work. She hosted a "Kitten Cocktail Hour" at Doobie's. She brought in 6 kittens from a pregnant mama cat she had rescued. Patrons played with the kittens and 3 of them were adopted. 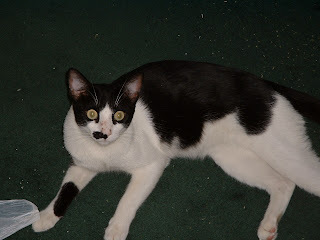 To bring attention to homeless kitties who are looking for their forever homes, Pat posts information and pictures in the bar of the cats she rescues as well as on Doobie's Facebook page. She also works with PurrFect Paws Rescue, a non-profit group run by Donna Interrante, who as a courtesy allows Pat to show her rescue cats at the Petco in Wynnewood, PA along with their rescues. 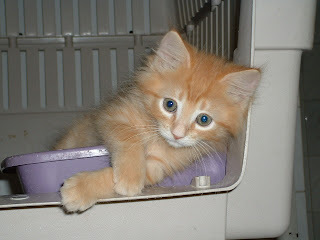 Last February, Pat sponsored “Valentines for Felines” to raise money "to help the kitties of the city." The fundraiser included an auction, a raffle and a basket of cheer. And she has featured an event with the craft brewer Flying Fish Beer: "Drink a Fish Save a Kitty." 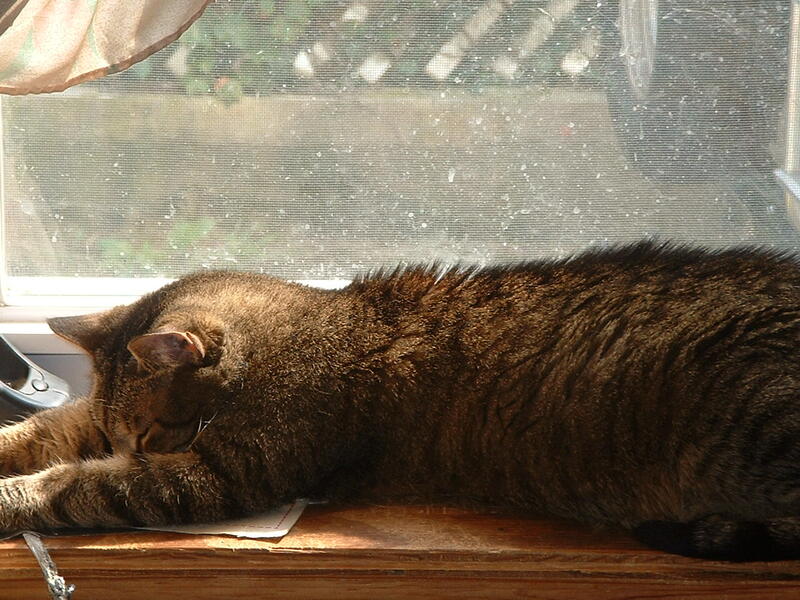 Pat doesn’t just find loving forever homes for cats, she takes them into her home and cares for them. She presently lives with 6 rescue kitties. 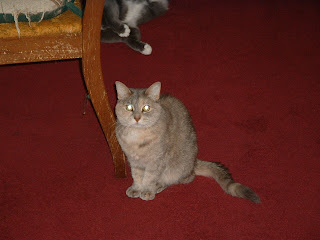 She has done many different kinds of rescues including leukemia positive rescues and feral rescues. with disabled people & wanted a disabled kitty. Marina was hit by a car in front of Pat's house. Her husband saw it happen. The driver never stopped. Marina pulled herself out of the street and collapsed. Pat rushed her to Penn where they were able to save her. She was Pat's most expensive single hospital stay at $4,500. Silver is a feral that Pat rescued in 2003.
the back seat. He is a Daddy's boy and loves her husband. Dot and Lucky were adopted by one of Pat's rescue cats who was lactating. The mama cat was renamed Saint Mommy by one of Doobie's customers. Dot and Lucky were adopted by one of Pat's friends. Clyde was rescued from a friend in New Jersey. Stripey was Pat and her husband's first rescue as a couple. Thomas is a Philly fan. 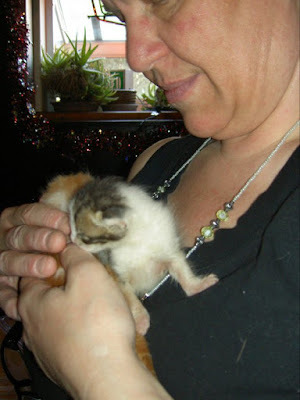 Pat also rescued the kittens Milkface and Stinker (see the featured photo). 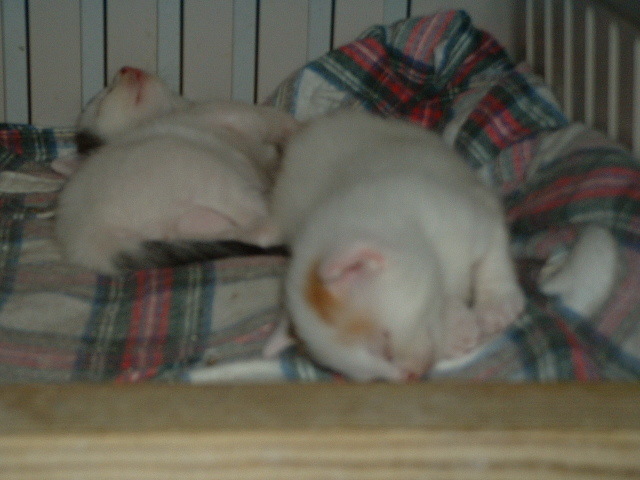 They were about a week old when Pat's husband saved them (and a third kitten who died) from a house he was rehabbing. They were bound together by one of their umbilical cords. Stinker almost lost his foot. He is blind in one eye and neither of them have full eyelashes. A family near Doobies adopted both of them. "I really have been doing rescue since I was a child," Pat admitted. "I used to bring home all kinds of little creatures when we lived in West Philadelphia. I even brought home stray people that needed a place to live (we had a rooming house). 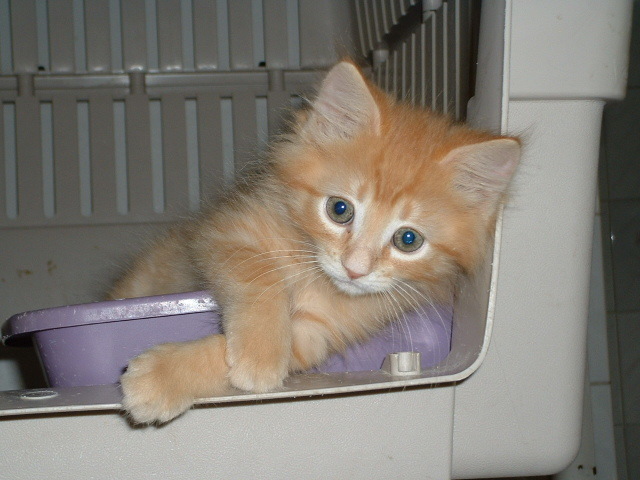 I rescued my first kitty when I was 6 or 7. Her name was Soot Soot because she was covered in soot when I found her." "Yes there are days when I am tired and don't feel like doing cat chores, but then I think about how many depend on me to take care of them and I get over it pretty quickly. I believe we are here to take care of them." She does not know I am asking. What an amazing couple!! Bless their souls!! Thank you for a most inspirational story - and snippets of all these beautiful kitties' lives! Awwww! YEAH!!!! We love those people that do it cause they love the animals....what a great story - thanks for sharing! Peoples like that, make my heart warm! What a wonderful story, Ann!! We love efurry one who rescues those in need! How lovely!! I was a recue, too, so I specially love beans like this lady! Pat is wonderful and every town needs at least 200 just like her! Thanks Pat for all that you do every single day! Pat is amazing! The world needs a whole bunch more Pats! Oh Pat is so wonderful!! She makes so many kitties very happy!! I love the idea of "drink a fish save a kitty" beer :-) Thank you for sharing this wonderful story!! what a pawesome story!!! We loves Pat for what she does!! Patti is amazing...please support her activities by attending The Valentines for Felines fundraiser which is set for Saturday, Feb 25th from 8-11 pm at Doobies Bar, located at 2201 Lombard St. Philadelphia. Please tell your friends & pass it along. She will have some AMAZING items to Raffle/Silent Auction! On behalf of the kitties of the city, THANK YOU!